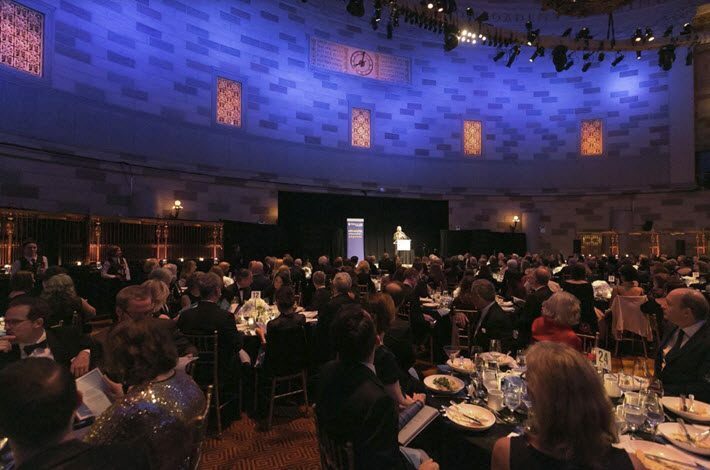 The Authors Guild Foundation’s plan for a barnstorming program with Penguin Random House to take career guidance to writers outside New York was announced at the guild’s annual benefit in Manhattan. One of the more subtle diversity issues in many publishing markets is centralized operations. In the UK, for example, there’s a small but robust resistance to that market’s London-centric character. And, of course, the United States industry is at times criticized for complaining of its costs while bunkering itself in the high-rent hub of New York. 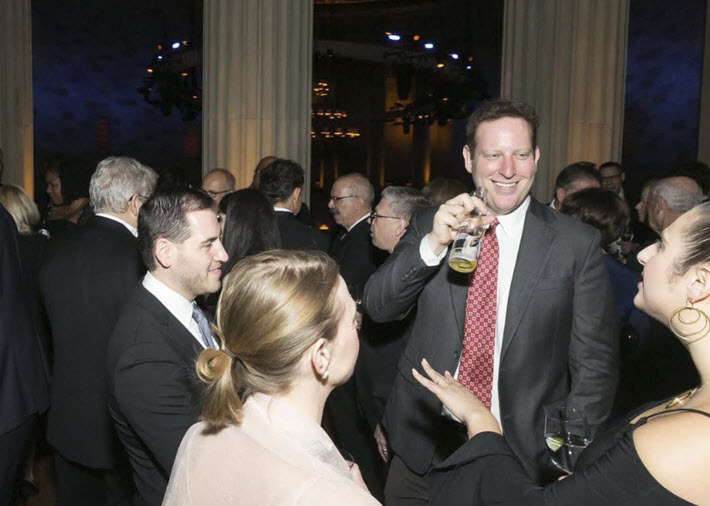 At its annual benefit last week, the US Authors Guild announced a program meant address the fact that a New York-centric industry—and its advocacy organization for writers—may not be fully responsive to the needs of members or would-be members living and working far from Manhattan. 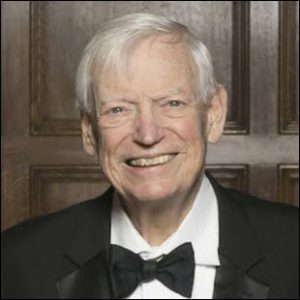 The program falls under the aegis of the charitable wing of the guild, the Authors Guild Foundation, which has received its first National Endowment for the Arts grant to support the program. Penguin Random House has signed on as the program’s exclusive publisher partner. And while a line in the prepared material reads, “We want to reach talented early-career authors from diverse backgrounds with well-developed or completed works,” guild officers have told us that participants will be informed that the publishing house will not be accepting manuscripts: The intent of the Boot Camps is entirely eductional, and, in fact, the funding from Random House is coming from its foundation, just as the guild’s effort is based in its own foundation. The guild has let Publishing Perspectives know that the programs will be free to participants and that there should be need-based travel stipends available for authors, as well (which can expand the benefits in a given region). There’s also a plan to work with local groups, which should help coordinate the events with existing programming, which is quite prevalent in many parts of the country now in terms of conferences, workshops, seminars and other events for writers. And it will be a great clue to the authenticity of the program as to whether its first year’s “manageable number of workshops” are in places such as Chicago, Los Angeles, Dallas, and Miami, or places named Spartanburg, Claremore, Hulett, and Red Wing. “We have great ambitions to extend the program to every underserved community in the country,” the guild’s statement announces. Great ambitions, indeed. And to support that massive map, the guild has an online auction of “your name in a book” offers for works by James Patterson, David Baldacci, Lee Child, and others underway through June six here. In terms of diversity work, the Authors Guild Foundation Award for Distinguished Service to the Literary Community went to VIDA: Women in Literary Arts. The “VIDA Count” is the mechanism that has revealed another centricity in the industry, the male-dominated nature of much media coverage of literature and the business. “2009, three women poets wrote to their friends, asking about the question of representation of women within the world of literature. Was it fair? Gender discrimination in that world is hard to discuss in terms of merit. Is this book really better than that one? Our opinions are always subjective, so It’s hard to say. But numbers are not subjective. “Cate Marvin, Erin Belieu and Ann Townsend decided to find out what the numbers were. With a network of volunteers, they began an accounting of 39 mainstream cultural publications. How many books by women were reviewed? How many reviews were written by women? How many articles? 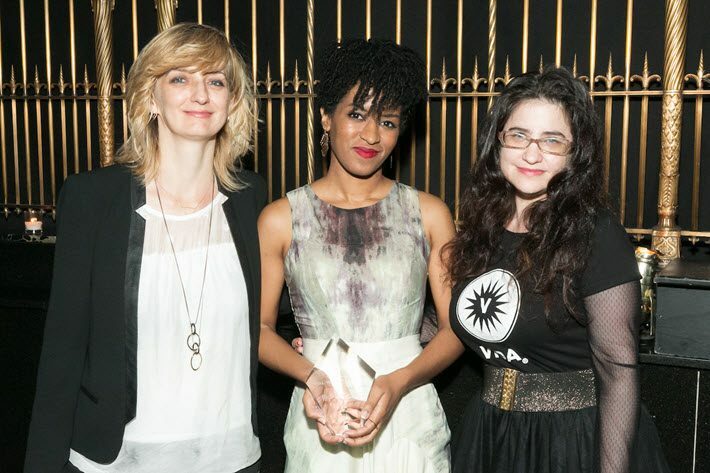 In accepting the award, VIDA’s Camille Rankine told the audience, “I’m of the opinion that literature helps us to get to know each other, that literature can serve to shrink the distances between our individual lives and experiences, helping us to understand each other, to understand each other as human, and to make the fact of one another’s humanity more deeply felt. The one who brought her, S&S CEO Carolyn Reidy, was on hand to cheer on the writer with the benefit audience. The independent publishing house Fulcrum Publishing was also honored for its work in publishing diverse voices. “In my writings on business and American history I have come to the conclusion that there is no economy of scale in life. Bigger is not always or even usually better. “While that is true in the founding of a company, an industry or even a country, it is especially true in writing. I can’t get two dozen people together and tell them to write War and Peace or Mark Twain’s Joan of Arc by next month. The individual is important. There is an author who has something to say and the ability to say it well, and a caring editor who helps her or him to produce a better book. 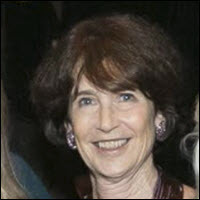 In line with the evening’s focus on diverse voices and outreach to a wider pool of creative talent, the Authors Guild under Rasenberger’s executive directorship, has recently has introduced new membership availabilities for emerging writers who are not as yet published, as well as for students. 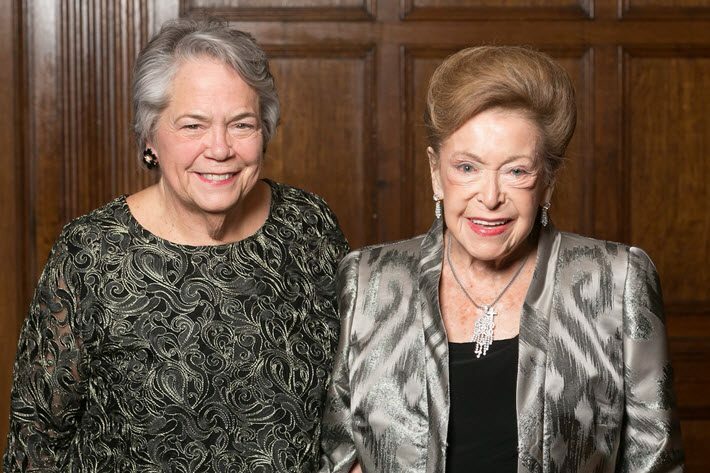 The organization numbers some 9,000 members, and its annual gala is its chief fundraising instrument. The 2018 benefit on May 16 was hosted by author and actress Jane Alexander, former director of the National Endowment for the Arts, with guild president James Gleick.